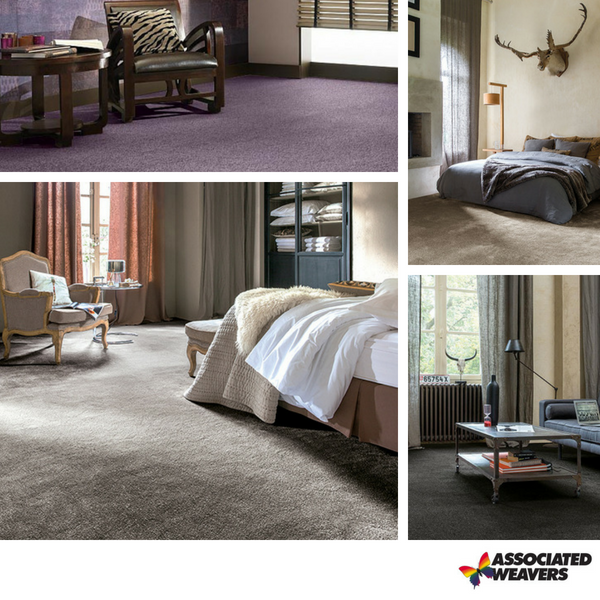 Associated Weavers also known as AW Carpets are one of the biggest producers of luxury carpet in Europe and when it comes to warm, soft and ambient broadloom carpet, Associated Weavers have it all. Choosing a carpet can be difficult and time consuming so AW have simplified their products into three brands, each with their own unique character and style. At our Bramley Carpets stores we all the brands and ranges on show plus also offer a take-way sample so you can view the carpets in your home. Isense Sensuality- Produced with a unique and extremely soft polyamide yarn, Isense carpets take soothing comfort to a different level. Perfect as Bedroom Carpets the collection is made up ranges such as L'amour, Hermes and Suspense which all contain various enchanting colours that will add a touch of class to your home. Invictus- Stunningly rich texture and luscious body coupled with appealing softness and superb colours make the Invictus collection a premium choice of flooring. Named after invincible stars and extraordinary constellations, ranges such as Hercules, Pegasus and Sirius are all 100% bleach cleanable and come with a 20 year stain and wear guarantee. Vivendi- A resilient, pleasantly soft and bleach cleanable collection of carpets, Associated Weavers Vivendi is the ideal choice for the busy home. Built to last, the extensive options are all manufactured with the iVivo Solution Dyed Nylon Yarn that's designed with you in mind and offers a 25 year wear and stain warranty giving you peace of mind for years to come.